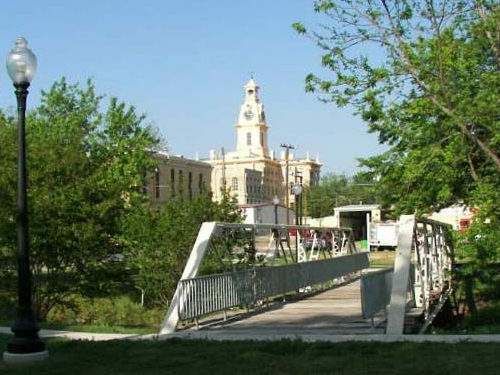 Red River County Courthouse, Clarksville, Texas. 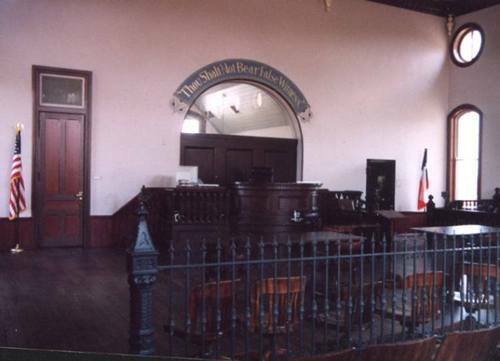 "In Red River County, one of East Texas' oldest and northernmost counties, the courthouse at Clarksville is undergoing a renovation deserving of its history. 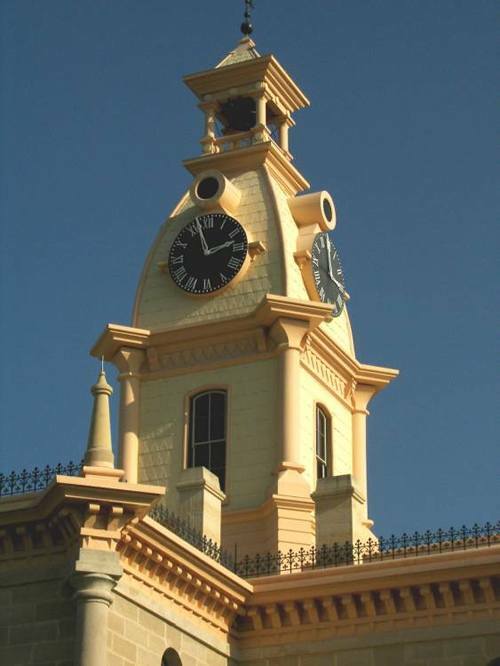 And as a part of the renovation, the courthouse clock, nicknamed Old Red, is scheduled to be rebuilt. 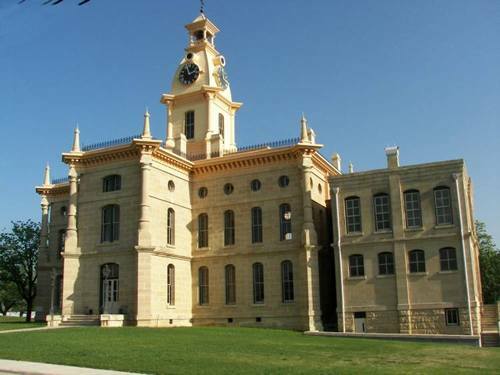 Built in 1885, the courthouse boasts turrets and buttresses of mellow yellow stone cut from a quarry near Honey Grove. Because its architecture is part Victorian, part Gothic, and part Italian Renaissance, someone once described it as Late 19th Century Debatable. 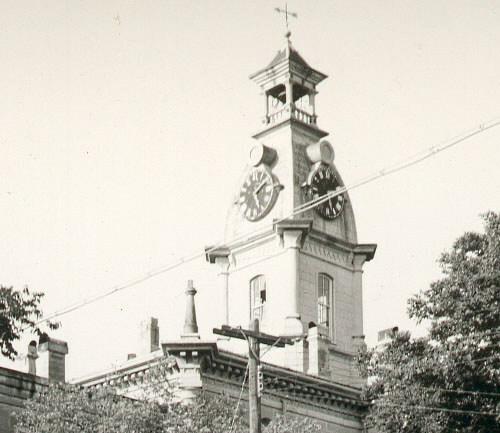 The courthouse clock ticked from 2:30 p.m. on May 27, 1885, until it developed troubles and was electrified in 1961. This saved the janitor of 30 minutes of hard winding once a week, but four months later, at 4:35 a.m. on a June morning, Old Red started striking and struck her bells 120 time before someone pulled the plug. 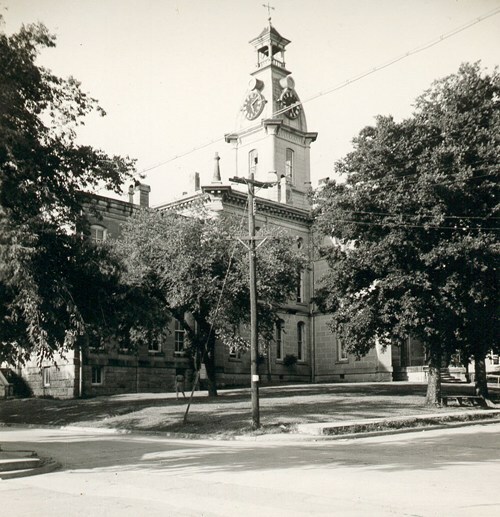 A town wag described it as the night that got later than it ever has been."